Please excuse my absence, I’ve been skiing for the past week. The trip was filled with good food, the great outdoors, and most importantly- quality time with family. 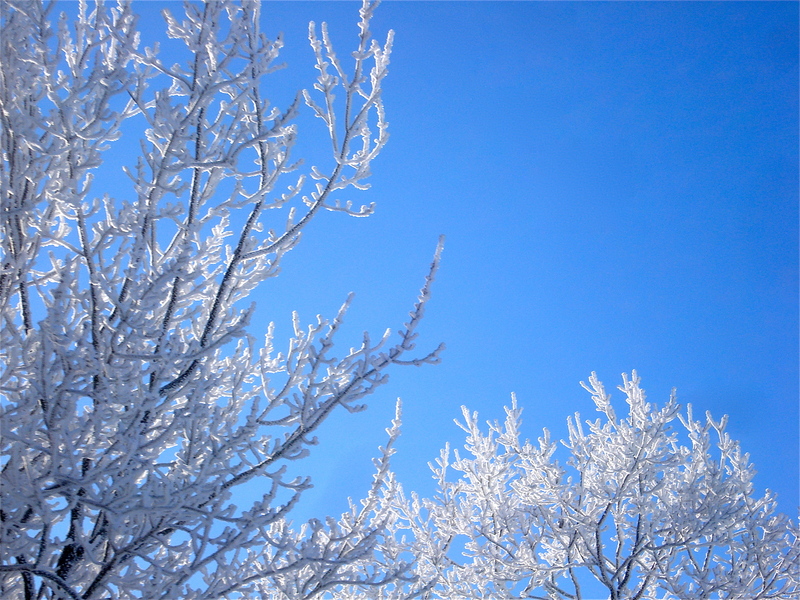 Snow is pretty great when paired with sky blue sky, and there is some hot chocolate to keep you warm. So I did what any normal person would do, I got evil on these guys and made deviled eggs. Oh, and I made them with beets… that’s normal, right? It was quite the treat, it made packing feel like a fancy dinner party. The best part- the color! No doubting these eggs are quite the little devils. Looking forward to sharing more recipes with you this week; stay tuned for another colorful dish (hint: it’s green, and it’s soup), as well as a real nail biter about breadcrumbs! 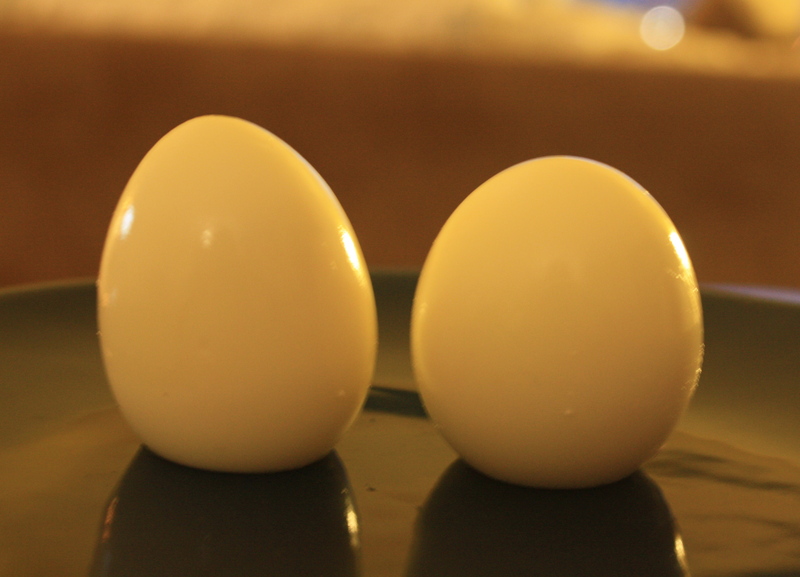 Cut hard boiled eggs in half, lengthwise. Remove yolks and place in a mini-food processor (or a blender). Roughly chop the beet, add to the food processor with 2Tbsp yogurt, mustard, and a pinch of salt. Blend until a smooth consistency. Taste, add additional yogurt if needed to give it a smoother texture. Season with salt and pepper as needed. Scoop beet mixture back into egg whites. If you’re feeling fancy, add beet mixture to a small plastic bag, cut a small hole in the corner, and pipe the mixture back into the eggs to make it nice and neat. Top with a sprinkle of salt and pepper. Open a beer or a bottle of wine and enjoy your cocktail party for one. Note: This recipe could easily be multiplied for a party with more than just you there; however, be warned that if these sit too long the beets will start to discolor the whites. So it would be best to prepare them just before serving. *Want a fool proof way to have hard boiled eggs that are easy to peel? Here it is: if you can help it, don’t hard-boil fresh eggs. As eggs sit in the refrigerator, evaporation of the egg whites occurs through the shell of the egg, resulting in more room between the white and the shell. I find hard boiled eggs are a great way to use up eggs that are a week or two away from their “use by,” date. I throw them in a pot, cover them with about an inch of water and bring to a boil. Once the water reaches a boil, cover the pot, turn the flame off (if you have an electric range, remove the pot from the hot burner), and set the timer for 10 minutes. Meanwhile, prepare a bowl of cold ice water. When the timer goes off, drain the eggs and place in the cold bath to cool for a few minutes. 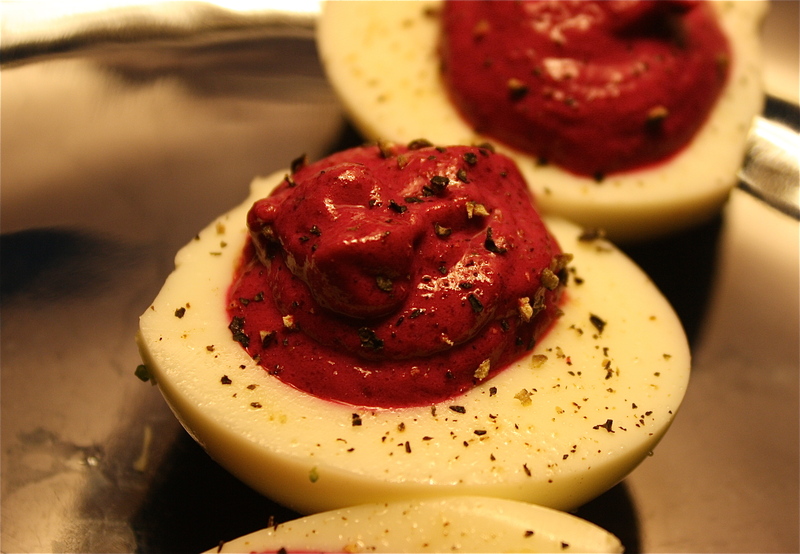 Pat dry, then place in the refrigerator for deviled eggs, additions to salads, or a quick protein-rich snack. These LOOK amazing…too good/colorful to eat! I HATE beets. I gave them a try when I was 5 years old and was so grossed out by the bdooly appearance of them that I swore I would never eat them. Maybe my tastebuds have changed since then? I never even heard of golden beets do they taste any different from regular red ones? Very late response, I’ve been off adventuring. I’m back, and am here to tell you that yes, golden beets taste slightly different than red ones. I think they taste a bit less “earthy,” but hopefully your tastebuds have changed, as both are delicious!